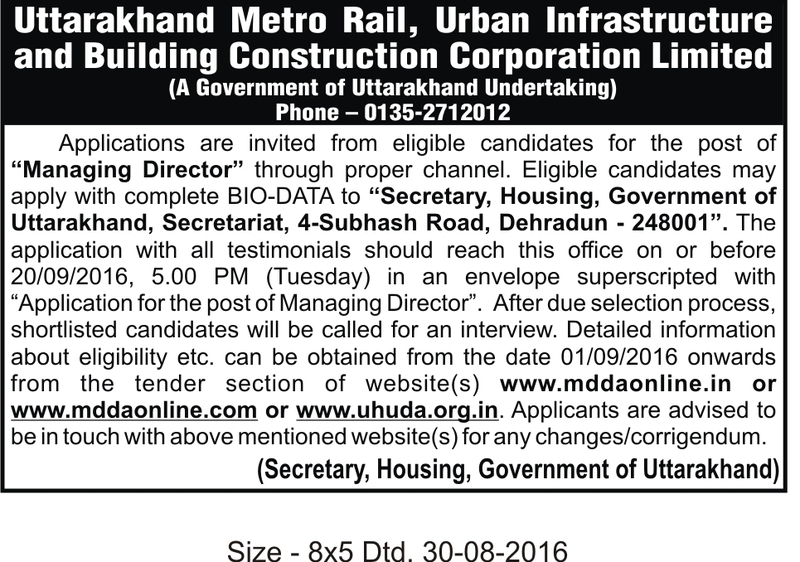 Empanelment of Advocate for Uttarakhand Real Estate Regulatory Authority. Last date: 08/06/2018 till 17:00 hours. List of Applications found eligible for various posts submitted till 07/10/2017. NOTE: The eligible applicants have been informed by telephone & call letter has also been sent at their respective E-mail ID’s, as mentioned by the applicant’s in their submitted application form. 6– Recruitment for the post of Tehsildar and Lekhpal on deputation basis (Last date- 09/09/2016). 8– Recruitment for the Post of Public Relation officer on deputation basis(Last date-16/08/2016).